The Mara is Kenya’s greatest wildlife hotspot and from July to September, during migration season, the spectacle of millions of wildebeest arriving from the dry plains of the Serengeti in search of green pasture is a sight to behold – billed as one of the natural wonders of the world! But don’t be in any doubt that the Mara is rewarding at any time of year so mid-late June, following the rains, is the secret season when those in the know enjoy better prices with fewer people but still wonderful wildlife viewing! The rainy season is drawing to a close and perfectly on time, the savannah grasses are growing long in readiness for the anticipated arrival of the big herds from the wildebeest migration from next month. 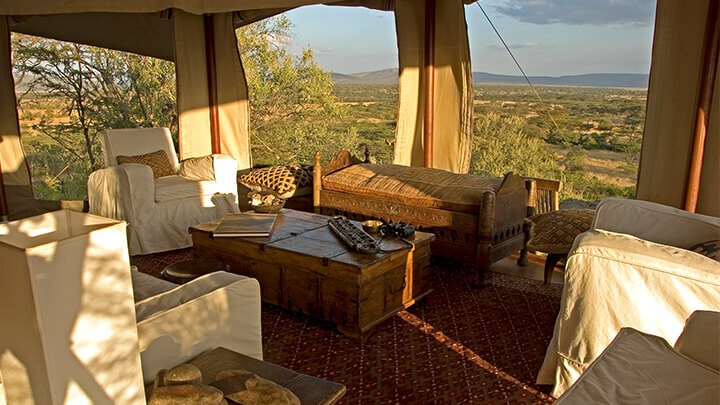 This superb week long safari adventure includes two incredible free nights (7 nights for the price of 5) and combines our favourite safari camp in the Masai Mara, Hemingways Ol Seki, with northern Kenya’s most exclusive all-villa retreat The Sanctuary at Ol Lentille. 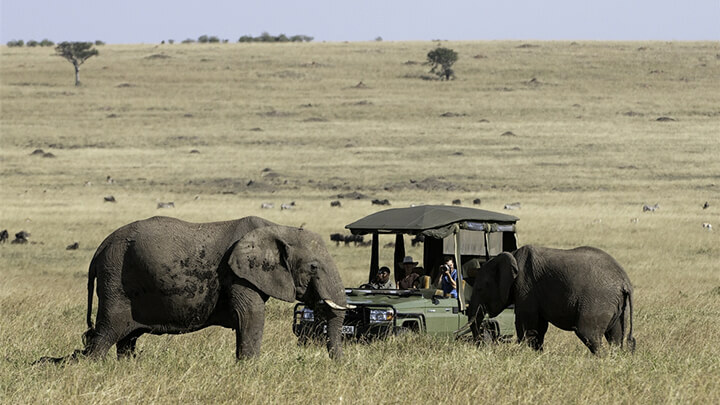 Ol Seki is located in the private Naboisho Conservancy, bordering the Masai Mara, so the camp has a much lower density of game viewing vehicles and offers walking safaris, night safaris and off-road driving, with supremely memorable wildlife sightings. 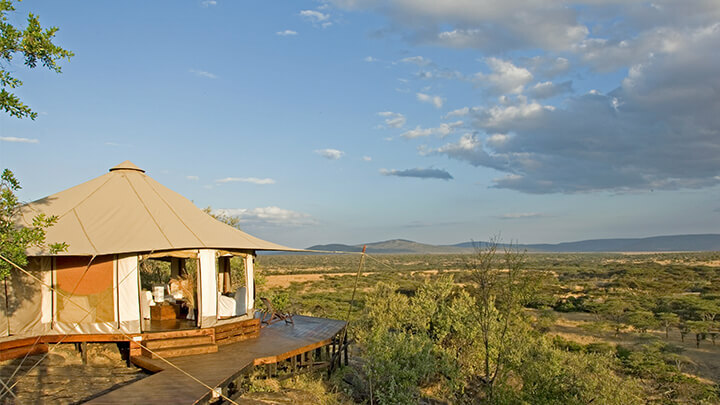 From here you will head on to The Sanctuary at Ol Lentille a collection of four spectacular private villas with panoramic views of Northern Kenya. The journey here through Laikipia’s truly stunning landscape, provides a real sense of arrival to this breathtaking part of northern Kenya! Pure ‘Out of Africa’ in style, Ol Lentille offers wow factor, privacy and exclusivity in abundance and not surprisingly, it is also the recipient of numerous accolades, including Andrew Harper’s Reader’s Choice Award for Sixth Best Safari Lodge in the World and number one in East Africa!